The weather is cooling down (unless you're in ever-sunny California, like our main office team) and Halloween is upon us! 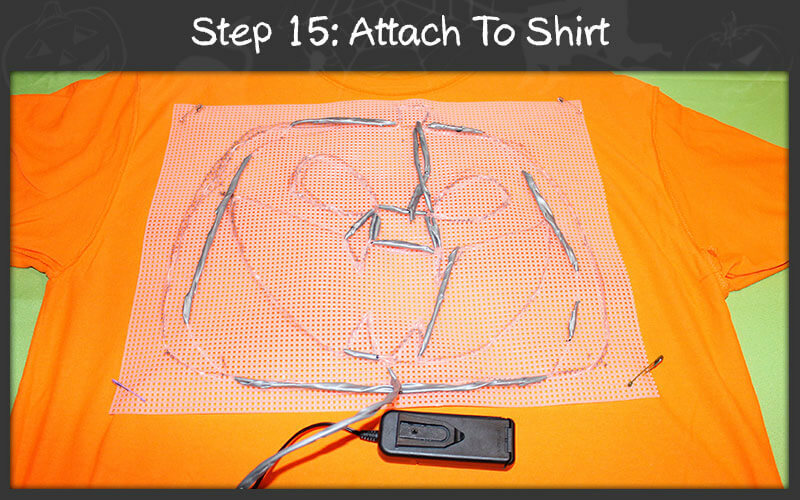 This year, instead of purchasing a pre-packaged costume, tap into your inner Maker and create your own DIY Tech-o-Lantern t-shirt! This low-cost activity is fun for the whole family and ideal for younger kids, as it doesn't require sewing, soldering, or any electronics experience. 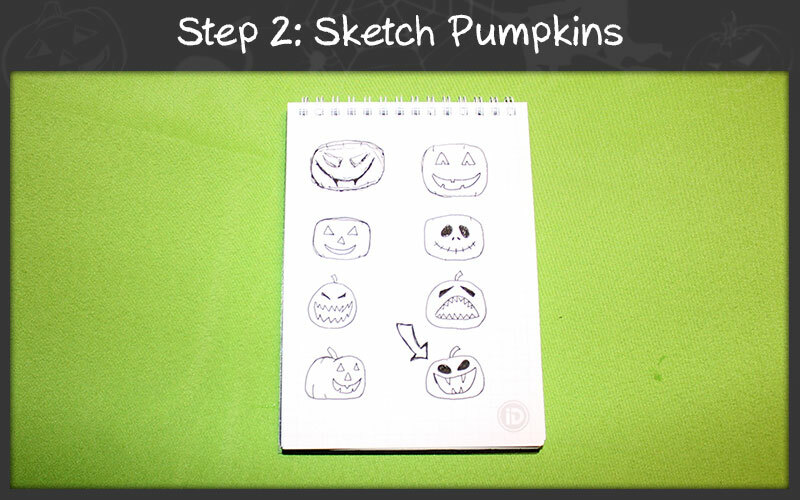 Next, sketch out some Tech-o-Lantern ideas. They can be scary, funny, or even traditional. 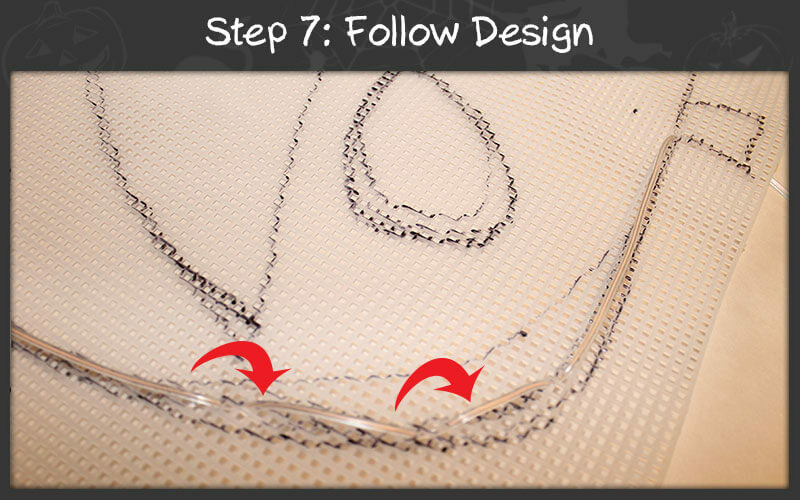 Just make sure the design is simple enough to follow since 16ft of El Wire can get used up really quickly. For this DIY, we are going to use the happy/scary design on the bottom right. 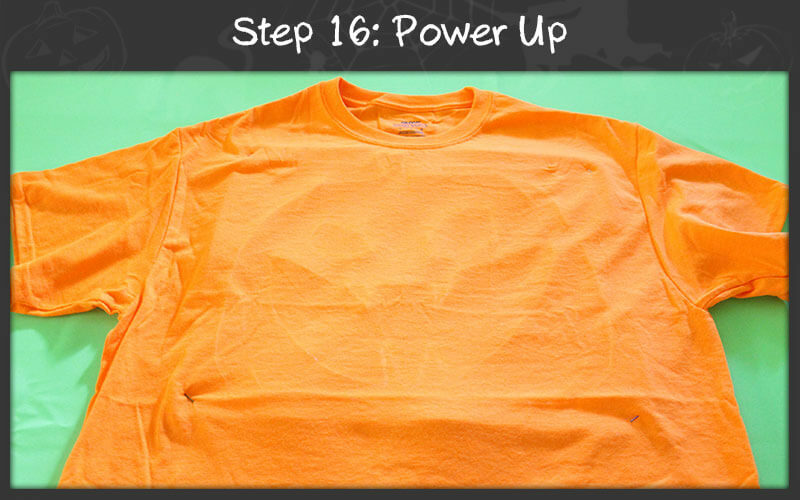 You may need to cut down the canvas so the Tech-o-Lantern will fit the shirt. Remember to give yourself plenty of room on the sides so the canvas sits on the front of the shirt and doesn't bend. 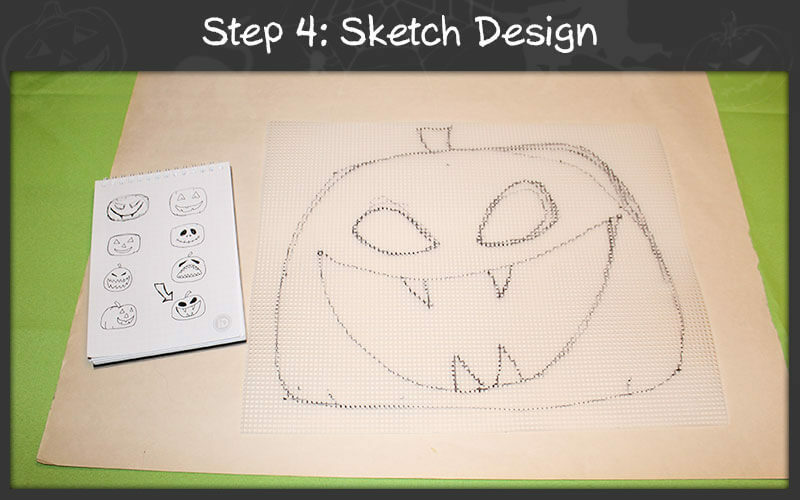 Take the design you picked and sketch it on the plastic canvas. You may want to put some paper underneath so the Sharpie doesn't stain anything. It's okay if the design is a bit sketchy. It's going to be hidden inside the shirt. Before we start attaching the El Wire, tape off a good 6"-9". 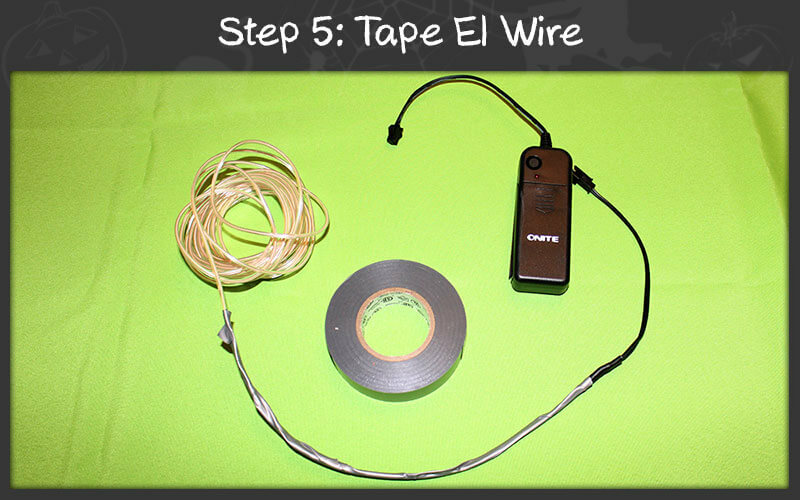 Any part of the El Wire that is covered with tape will not shine. 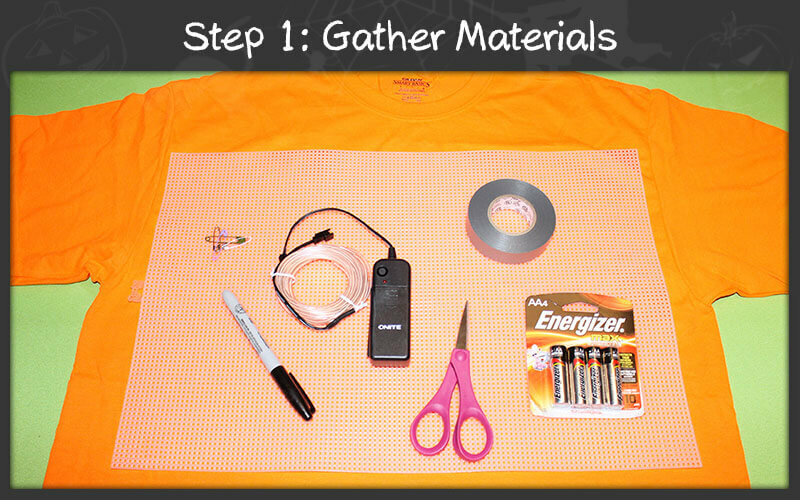 You want some extra length so the battery pack can fit safely in your pocket once you wear the Tech-o-Lantern costume. Now it's time to start threading the El Wire. 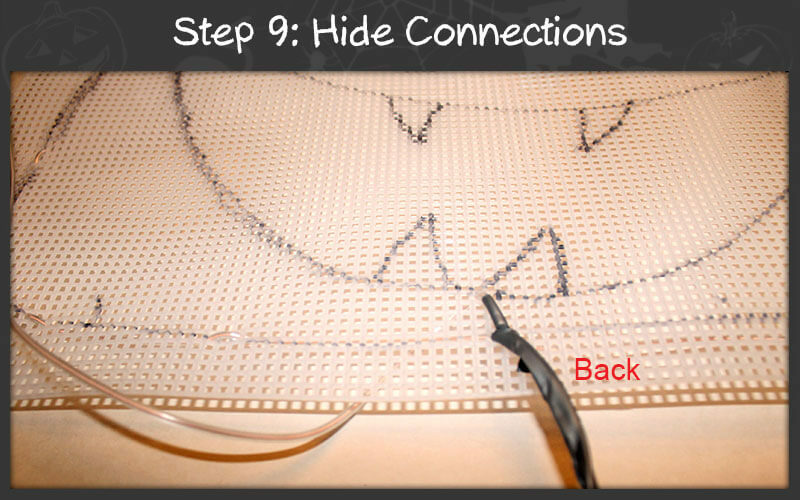 If the holes in the canvas are too small, use your scissors to snip some of the plastic connectors apart, making the holes bigger. All you have to do is follow the design you've outlined. 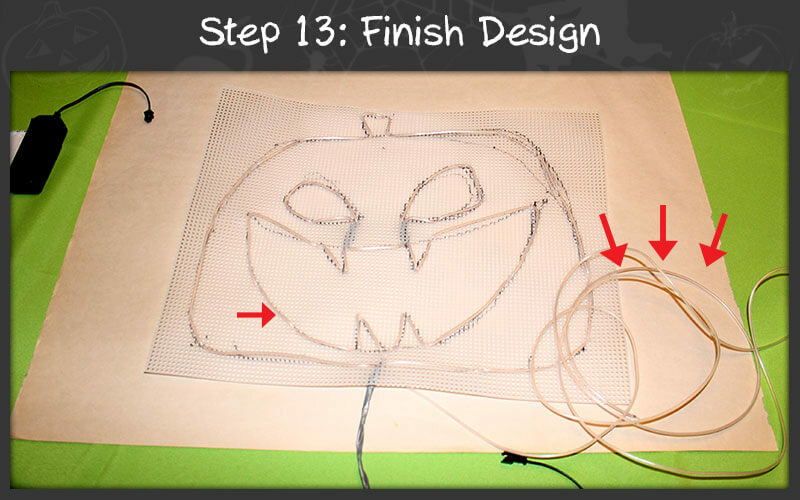 Start with the outside of the Tech-o-Lantern first, and try to keep most of the El Wire in the front. You will have a lot of wire to work with at first, but keep pulling it all through. You want the El Wire to be a bit snug. Once you are back to your starting point, check your work. Make sure the wire is tight, but not so tight that it bends the canvas. 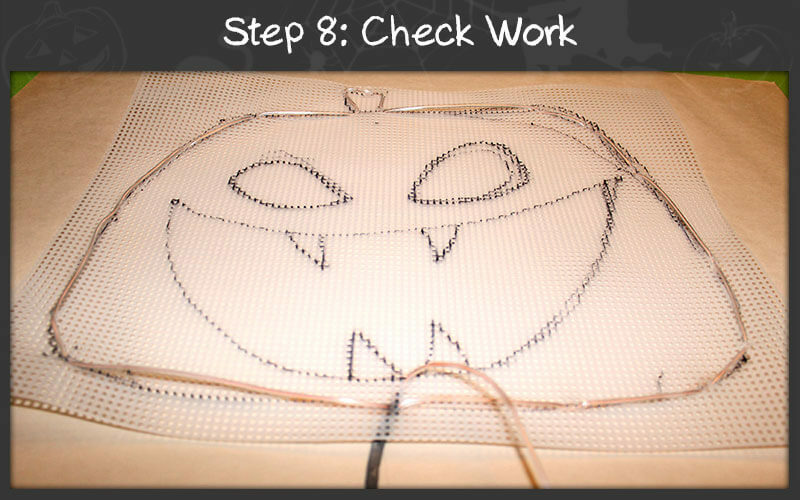 Flip the canvas over and thread the wire to the mouth. Before continuing, cover that connection with tape to keep any light from showing up between connections. Now, keep following the design and finish the right half of the mouth. Since the mouth uses less curves than the outside of the Tech-o-Lantern, I didn't have to thread it through the canvas as much. Flip the canvas over and start threading the eye just like you have been doing. Make sure the connecting wires are wrapped with tape so they don't show up when the power is on. 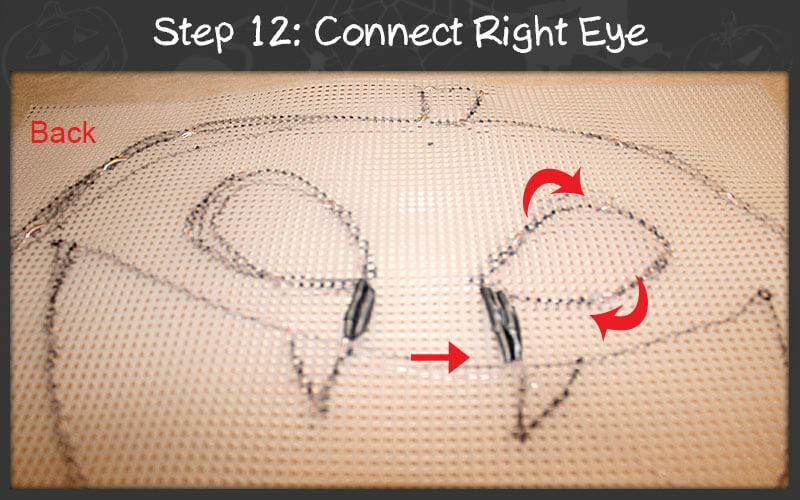 When finished with the left eye, thread the wire, following the sketch, from left tooth to right tooth. 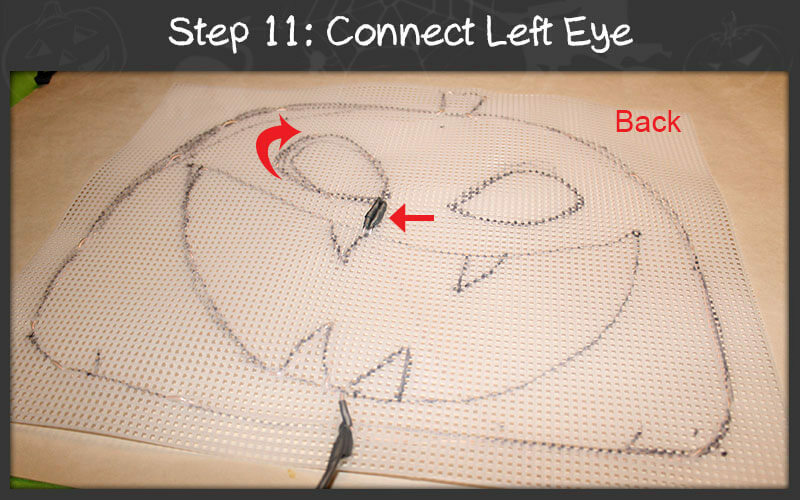 Then wire the right eye, making sure the connecting wires are covered with tape. Now that you have wired the eyes, follow the sketch back down to the bottom of the mouth where you started. 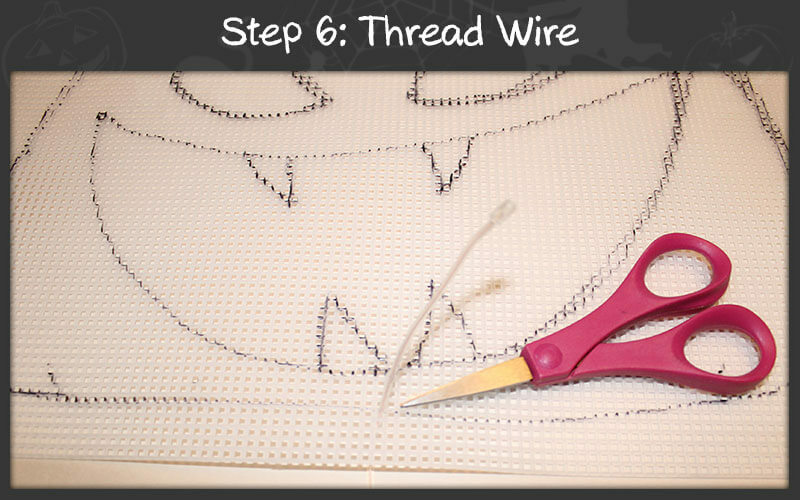 If you have leftover wire, you can trim it, tape it off, or add it to your design. If you double up the El Wire, it gets brighter. We added the remaining wire to the eyes and teeth to give the Tech-o-Lantern a more realistic look. 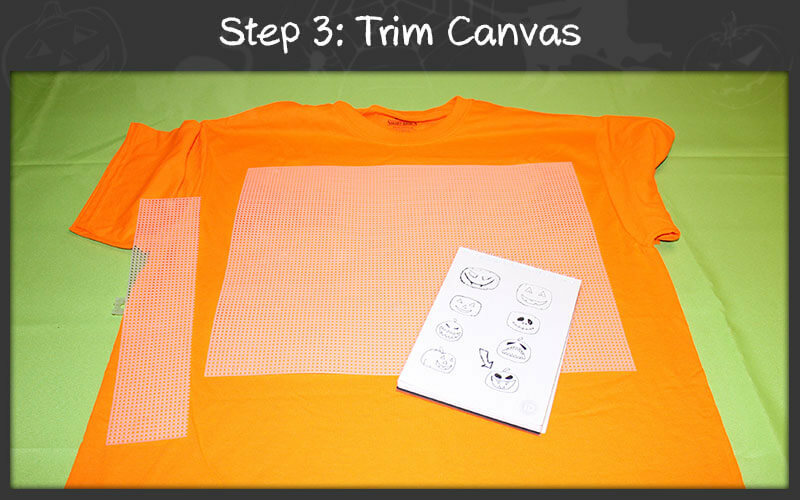 Turn the shirt inside out and attach your wired canvas face-side down using the safety pins—one on each corner. If your design is heavy, you may want to use a few more pins. Once you are finished, turn the shirt right-side out. Insert some batteries and turn that shirt on! If you are in a bright room, the light under the shirt will be very faint. Here is the shirt in a darker room. The darker it gets, the brighter it will appear! If the shirt feels too bulky, you can cut down the edges of the plastic canvas or re-position it so it sits more comfortably. 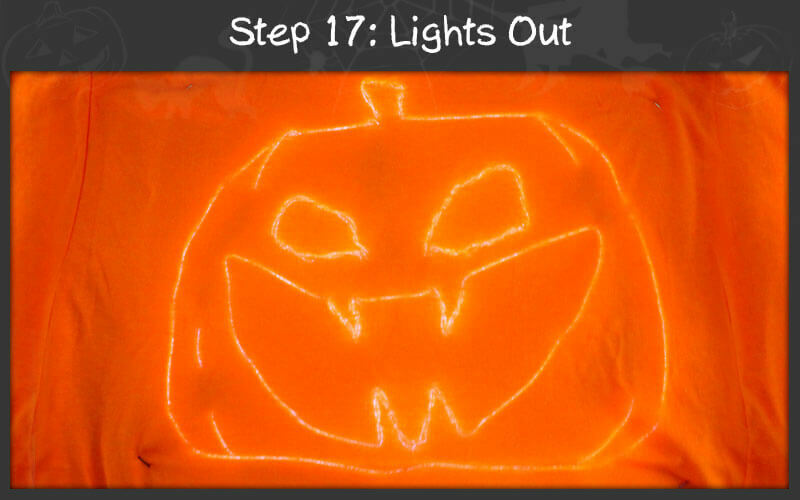 Make sure to wear a tank top or t-shirt under your Tech-o-Lantern costume to protect your skin from the plastic canvas. While on the topic of Halloween, need a few Halloween apps? 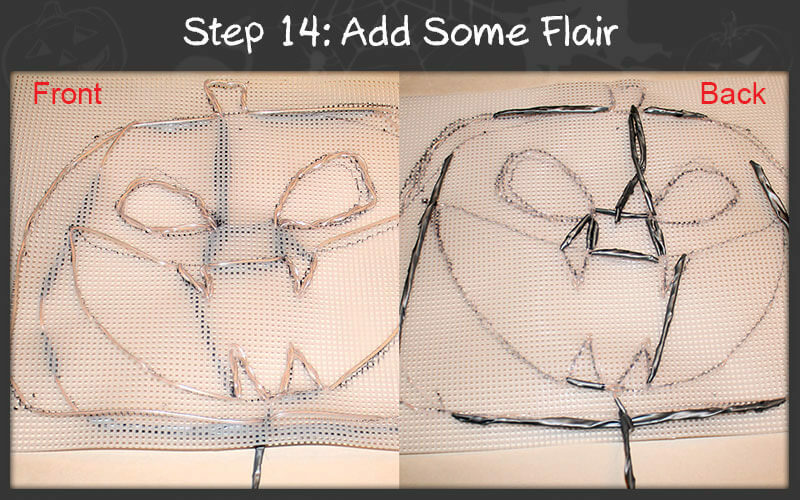 How about a DIY Halloween wreath? 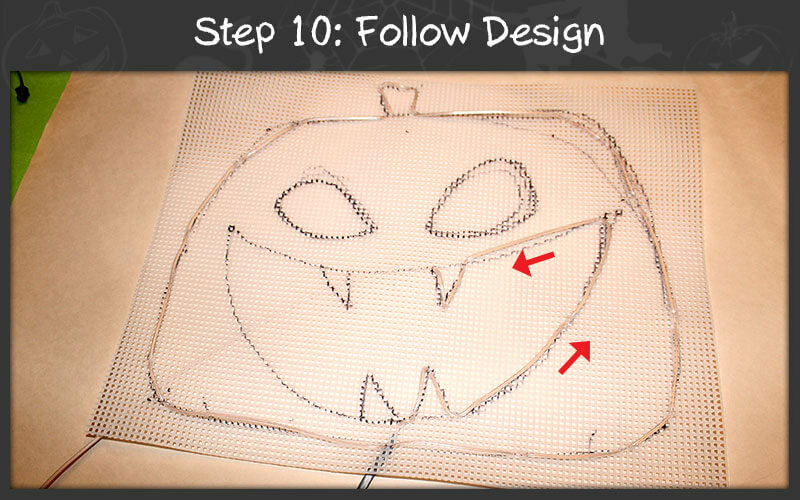 Once you've crafted your DIY Halloween masterpiece, make sure to show it off on Facebook, Twitter, and Instagram! Upload your photos with hashtag #iDTechHalloween. We can't wait to see your creations! Alycia has a BFA in Computer Animation and specializes in early childhood education. Now, after five camp seasons, she has joined iD Tech’s Curriculum Development team. In addition to teaching kindergarten and after school-programs, Alycia has over 10 years’ experience creating special FX and producing commercials. Halloween apps for a fun, frightening, and safe October 31st!